In the summer of 2005 I had a severe attack of creativity. It started when I wanted to work out some of the hand lettered alphabets that I had made over the years for comic books. There are a lot of comic style type fonts, but I had made some letters that are not available, and since I had not much to do, I thought it would be a nice job to try and work them out. 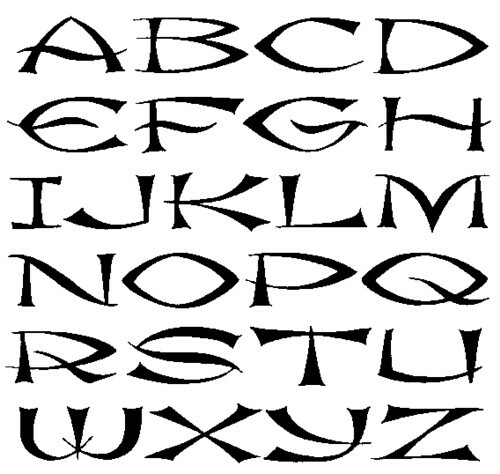 I had sketches of about 25 alphabets, all incomplete and not all useful, but it seemed like an easy job. 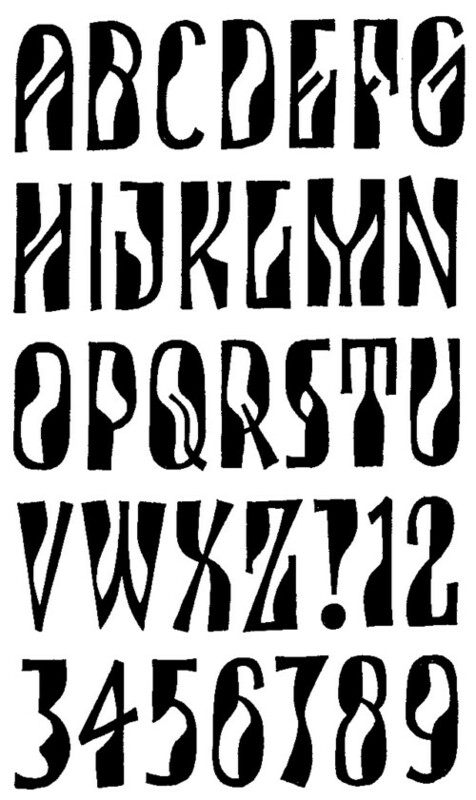 The alphabets didn’t have to be perfect; I just wanted to have them worked out in a way that I could show them to publishers, hoping that there would be some interest in this work. Three months later I had worked out 130 alphabets in stead of 25. You can see many of them here. They are far from perfect: these are first draws. Making a final version is a lot of work, and I have no plans to do that unless I get paid for it. But making these sketches was great fun. I was almost sad when the inspiration faded away. Since then I have made only a handful of new alphabets; I simply had no new ideas. John Koenmans once sent me a Compilation of Alphabet songs. It was not the first time that he made me realise how much themes have not yet been recognised as such. This CD is musically not as interesting as his compilation of songs about farts or his two volumes about Death, but I like it very much.